The supergeniuses at College Humor have the cure for what ails you – an infographic answering why all those text messages you keep sending out into the ethers to your BFF’s keep going unanswered. 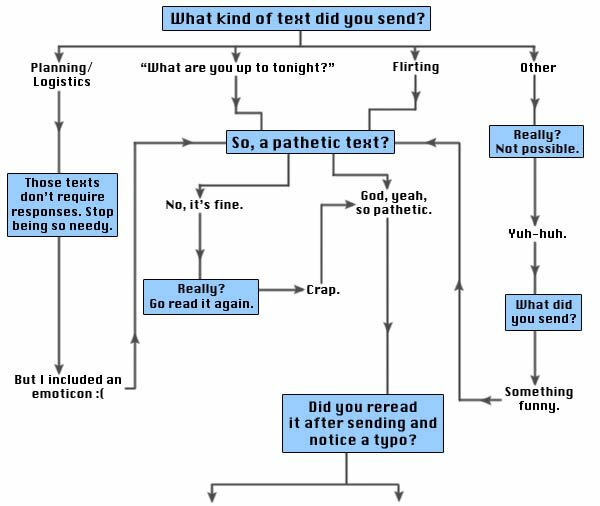 Presenting The Truth About Unreturned Texts. Harsh! Does this answer things for you?